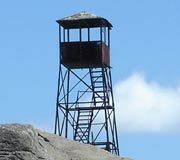 The following information, a list of all the fire towers built during the 20th century in the Adirondack Park, was provided by Bill Starr, former Forest Fire Observer and Fire Tower Historian. Note: Some of these are accessible to the public. 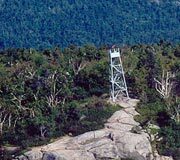 See Views from on High: Fire Tower Trails in the Adirondacks and Catskills by Jack Freeman (Adirondack Mountain Club, 2001) for more information. Cathead Mountain – DEC uses tower for communications purposes. No public access. 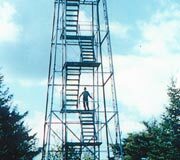 Goodnow Mountain – – Land owned by SUNY ESF and fire tower restored and open to the public.